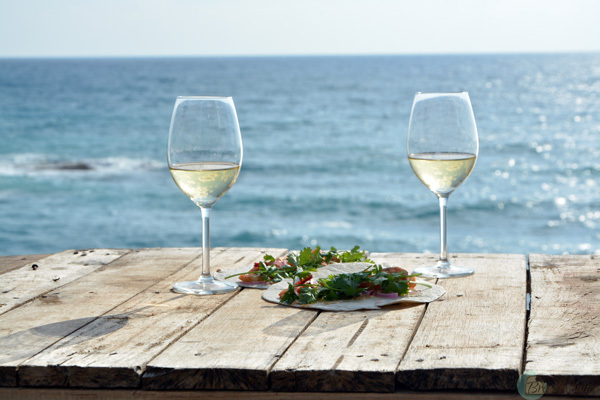 Our ‘thing’ this summer is – as you might have guessed – having barbecues by the sea. When I wrote about how to beat the Sunday Blues, one of the recommendations was to stay out late on Sunday. Who sleeps early anymore anyway, right? 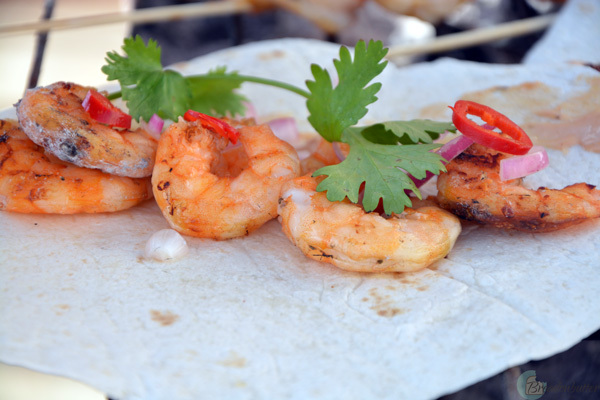 On one of our BBQs, we made these amazing shrimp tortillas that all of our guests loved. This recipe was cooked straight out of the grill by the sea on a nice summer day. It’s easy and delicious! I strongly recommend it to add an extra touch to a simple BBQ. 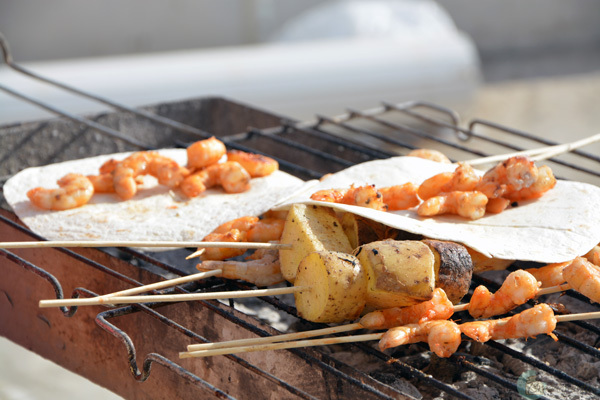 Marinate the shrimps in the lime juice and mixed spices, then place them on the grill. While they grill, make the sauce by mixing all of the ingredients together until well-combined. 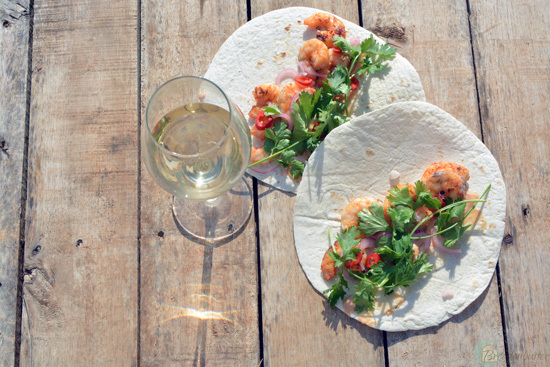 When they’re done, place the shrimps on a tortilla bread and sprinkle the sauce on top. Top everything with fresh red chili, coriander leaves and shallots. Last Saturday was really fantastic. The weather was wonderful and we all headed outside the city to Batroun for a fun BBQ in the sun. We were a whole bunch of people (including Maya from Playing With Fashion and her husband) and everyone was happy and excited. The goal was to get there a bit late and to start eating around 3 pm to then enjoy the beautiful sunset. By 1 pm, everything was set: a ping pong table and darts game, drinks, and music. All that was left was for people to get there so that the grilling could start. A BBQ can be manageable and trouble-free. You just need to be really organized and keep things uncomplicated. To make things easier on you, here’s a checklist you can use if you’re looking to have some fun with friends around a grill. When you’re hosting a BBQ, no matter its size, you want to be able to have fun with your guests and not end up cleaning for hours afterwards. To do that, it’s all in the material you get. Since a BBQ is always outdoor and very casual and laid-back, you can easily go plastic: plastic plates, plastic cutlery, plastic cups. No one will judge and you’ll be way more relaxed as nothing will break and everything goes in a huge garbage bag at the end of the day. Of course, skewers are essential and a nice BBQ toolkit would be a great plus. Jean got this one at Christmas from his little brother (the most useful gift ever). For those who will be actually grilling the meat (thank you Gigi and Marwan 😉 ), make sure you have a handy enough grill or grills for that matter. If you’re planning a big party, make sure you have enough space to grill enough food for everyone and not keep them waiting. You can use the checklist below if you’re hosting a BBQ soon! Are you a fan of BBQs? When you’re a nature lover, the Lebanese mountains and their weather are a treat. Last weekend, six of us went camping in Tannourine, one of my favorite mountains in the country. The night was freezing cold but a good fire and perfect food kept us warm. The road leading to our camping location – which was basically a flat piece of land with nothing blocking it and where actual helicopters land – was marked by countless apple trees. We got there at around 5:30 pm, set the tents and started the evening. The fire lasted well into the late hours of the night, while we barbecued a lamb’s leg, and some other treats. 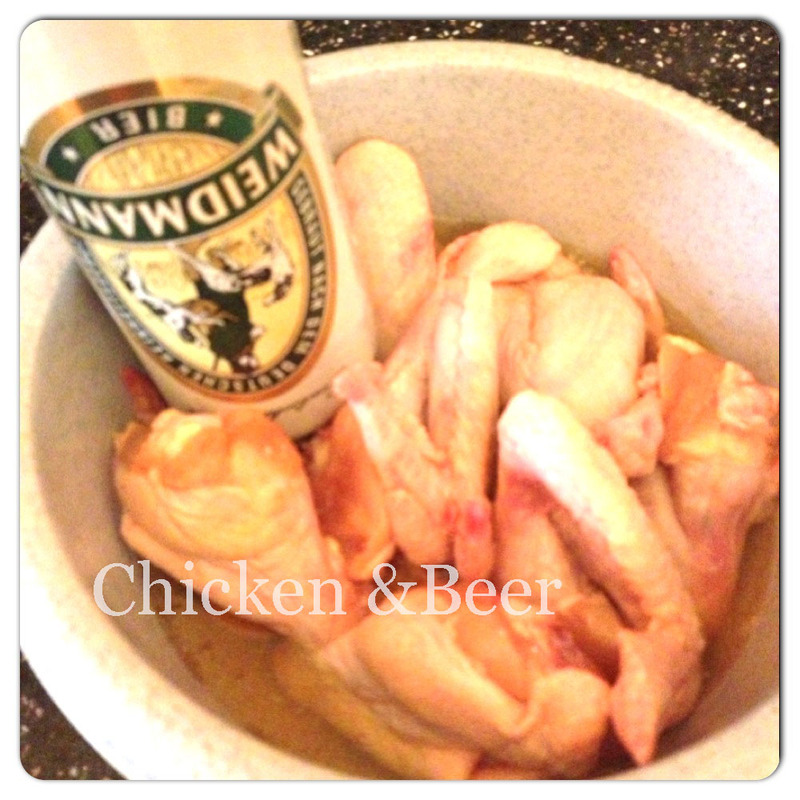 To list a few: chicken wings marinated in beer, kafta, grilled potatoes, green chili pepper, and mushrooms. The next day, breakfast was a whole other story. Water was heated for those who wanted tea or coffee, canned fava beans were also heated and served with oil and onions, there were eggs (sunny side up), Nutella and Labneh. Don’t you sometimes fancy a quick and tasty barbecue just for the taste of it all? Well because the weather has been unstable lately and nights still don’t feel like Spring, here’s how you can have a barbecue on a rainy evening. 4) Meanwhile, wash then cut the potatoes into slices. 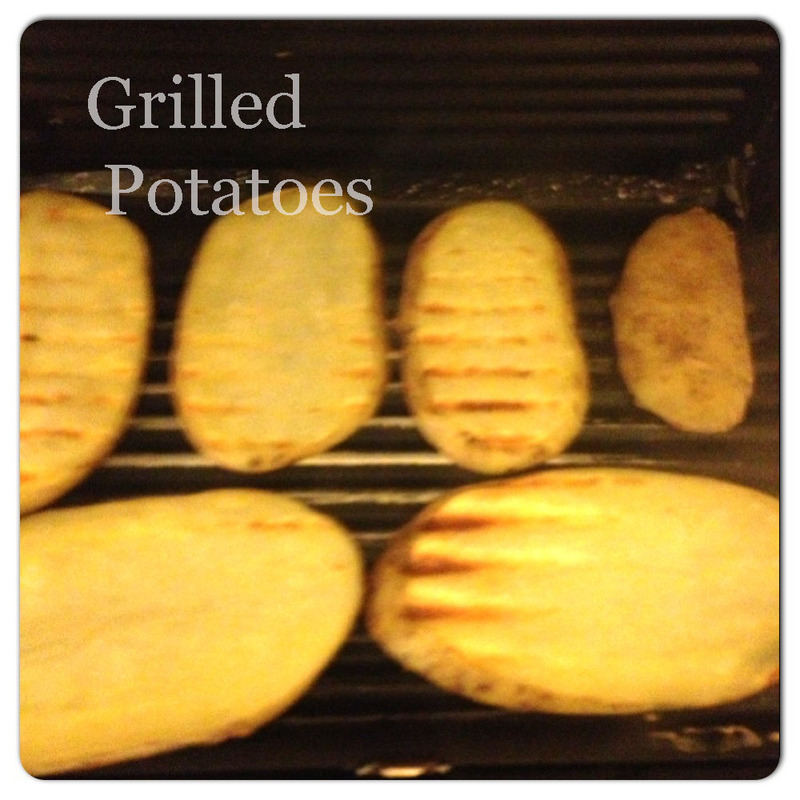 Grill the potatoes on a grill, each side for 3 to 5 minutes, and cut the lettuce for the salad. 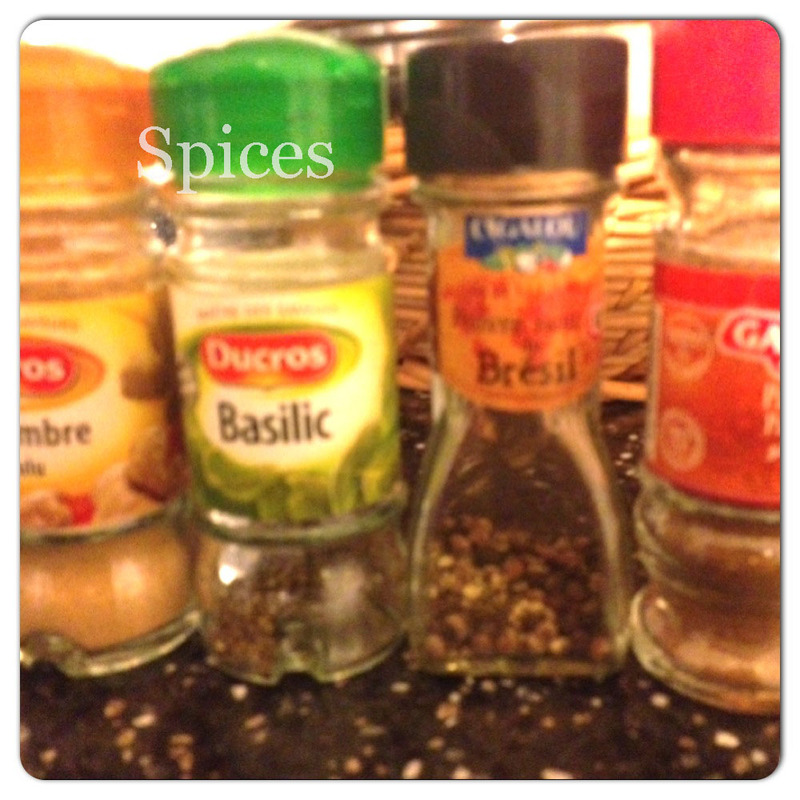 For the salad’s sauce: 1 tablespoon of olive oil, the juice of 1 to 2 small to medium lemons, 1 teaspoon of mustard, and salt. And there you have it! Roasted chicken wings with grilled potatoes and salad. That’s what I call an mini indoor barbecue. Have you checked the coming weekend’s weather? It sure is a promising one. Sunny, no rain, and a plan to barbecue the weekend away. 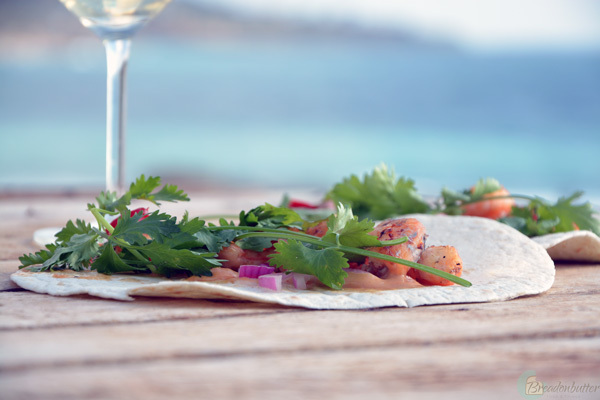 If you’re wondering what to do, here’s the perfect idea: a bunch of friends gathering around a delicious fish barbecue – with accompaniments of course. 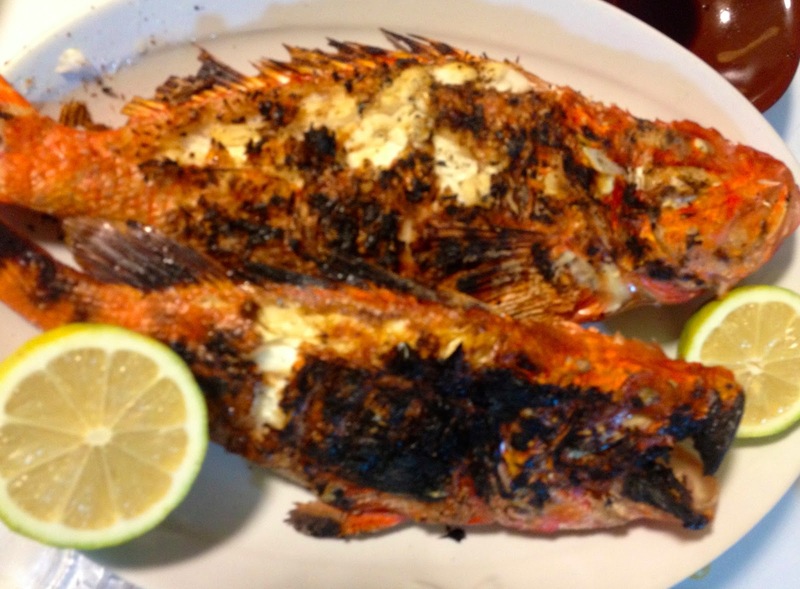 Meet the Red Snapper, one of the tastiest fish I have ever eaten. It’s one of the most popular of all white fish. The first time I ever tasted one, we were backpacking in Sri Lanka last August. It was so delicious that we have been dreaming of it since then. As it turns out, it can be found in Lebanon and anywhere in the world. The trick is to make sure it is a real one. You should buy your fish from someone who knows what he is selling (either buy it from the fish store you always buy your fish from, or ask someone who knows about it). A real Red Snapper has an exceptional and firm texture, it has a sweet, nutty flavor that fits perfectly with chilis and herbs, and it’s just perfect for grilling. Fry the big potato cubes in olive oil until they look slightly brownish. While you fry the potatoes, prepare the sauce: Mix the garlic, the coriander, half the lemon juice, salt and olive oil. Once the potatoes are done, add the sauce and then sprinkle with chili powder (as much as you’d like). Add the other half of the lemon juice, salt again, and pepper, and enjoy the meal!